Tawoos Power & Telecommunications (TPT) was established in 1989 to provide high quality products, professional engineering services and expertise to the power and telecommunications industry in Oman. It is a prominent member of the multi-faceted and prestigious Tawoos Group of Oman. The company specialises in providing state-of-the-art solutions with leading-edge products and systems. The product line covers telecom infrastructure components such as towers, shelters, digital microwave communications, satellite ground communications and many more. In addition to providing equipment and turnkey systems integration, TPT offers a range of consultancy services backed by its principals throughout the world. TPT has a well-established technical infrastructure consisting of highly trained specialists with extensive training and experience, backed by a team of dedicated support staff. For the smooth execution of telecom infrastructure projects, TPT has set up staff camps and have acquired vast resources and assets inclusive of 4x4 vehicles, warehouse and storage yards. TPT has excellent working relationship with leading telecom equipment vendors like Motorola, Alcatel, Stratex Networks, Hidada, General Dynamics, BPL Telecom and a number of other industry leaders from UK, France, USA, Australia and India. As part of its innovative approach to meet customers’ specialised requirements, TPT has developed systems in close cooperation with its principals. Further, TPT has trained a number of local contractors to carry out specialised jobs in our projects. Quality and HSE aspects are given utmost importance in all TPT’s activities. 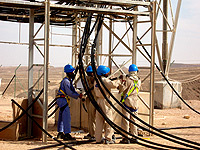 TPT’s prestigious clients include Oman Telecommunications Company, Oman Mobile, Motorola, Siemens, Petroleum Development Oman, Ministry of Defence and local private sector companies involved in telecom infrastructure projects. With Tawoos Power & Telecommunications (TPT) as a local contractor for telecommunications’ infrastructure projects in the Sultanate of Oman, our customers and principals/partners stand to benefit in every respect. TPT has proved consistently in the rapid deployment of telecommunications projects such as GSM services in Batinah, Dhofar and Dhahira regions for Oman Mobile, the first GSM operator in Oman. 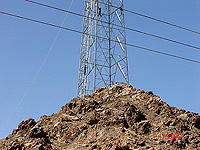 - A thorough knowledge of terrain in ALL parts of Oman, having undertaken telecom works over the length and breadth of the country for many years. - Trained people in different disciplines, be it civil/mechanical/electrical & electronic engineers experienced in towers, GSM antenna & BTS works, microwave installations and tower erectors, microwave riggers, electrical technicians. - Adhering to specifications and site requirements. - Faster deployment at sites and within agreed time schedule. - Quality of installation and other deliverables. Microwave: Site survey, path profile using Pathloss 4 Software, design and optimise passive and active links, supply of radios, antennae and RF cables, installation, testing (BER test) and commissioning. GSM: Installation of antennae and RF, testing (VSWR, DTF, Sweep test) and commissioning, and installation of BTS and DC systems. - Faster response times to troubleshoot at sites. - Ability to work on sites and manage large-scale projects. - Ability to handle multiple sites at multiple locations simultaneously. Project management software like MS Project to provide visibility to customers on the progress of the project.